1) Material: PE/Nylon, withUV stabilizer add. 3) Package: 20m or 100m every roll Strong PE bags outside, rolls with an inner paper carton. 4) insect net is an essential fabric for your integrated pest management program. It allows you to reduce your chemical pesticide applications and keep your greenhouse productive and increase the room temperature. 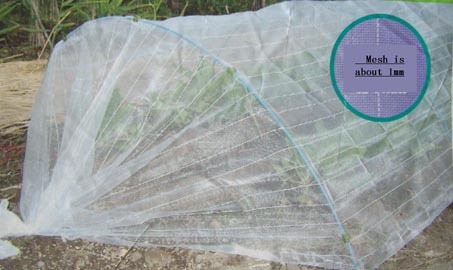 Different meshes offer protection against different types of insects, and its transparent white color allows maximum light to reach the plants.